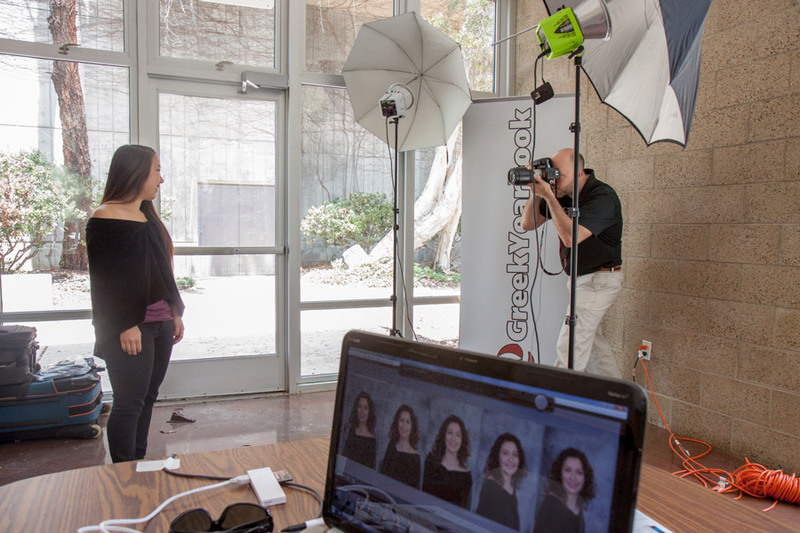 Making you look your best in your sorority composite or fraternity composite photo is our job! It’s a job we love and take pride in. Composites line the walls of chapter houses for years to come. They are viewed by younger generations regularly, and are recognized by alumni as time-honored nostalgia. When myself or any of my pledge sisters visit Delta Phi Epsilon at the University of Maryland, we always snap a photo of our old senior year composite from way back, in 2005. Yup, it’s still there!! Sorority and Fraternity composite photos are important and must stand the test of time, so we always send our best photographers out to do the job right! Our lead photographers are experts in the photography field and have taken thousands of gorgeous portraits. I sat down with Nic, our Head Photographer, to get some behind the scenes tips and stories gathered from his extensive experience. Q: What are three things that typically make a composite shoot run smoothly? A: 1. Have your members sign up for time slots. Time slots prevent long lines and long waits. They also eliminate the possibility of everyone coming at the end of the shoot, causing the photographer to stay late and the chapter to incur charges for extra time. 2. Make sure you have the room reserved at least 30 min prior to the start time and at least 30 min after the end time. That way the photographer will have enough time to set up before the shoot, and enough time to breakdown after the shoot. 3. Make sure to remind your chapter members about the photo shoot a day or two in advance. So many times I hear from from members, “I look bad, I completely forgot about this shoot” or “I just found out about this shoot today.” Keeping members informed will help everyone look their best for their photos. 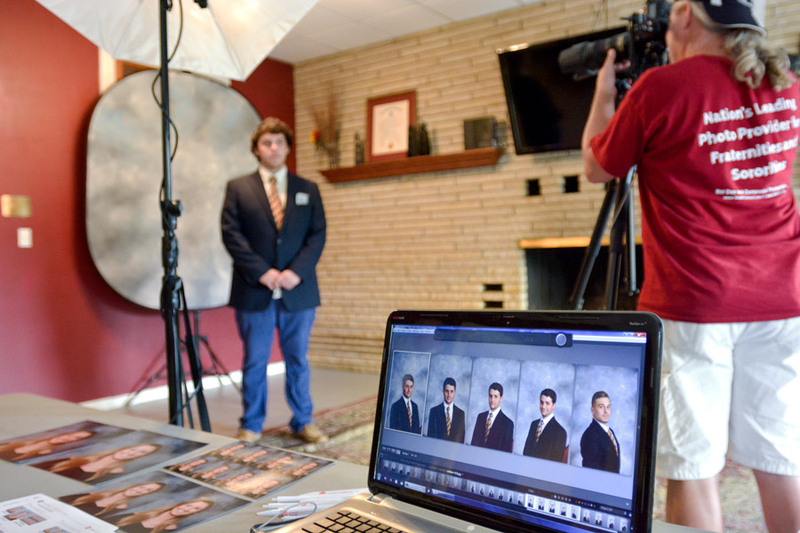 Q: What do you do to prepare for a Fraternity or Sorority Composite Photo Shoot? A: I double and triple checking that I have all my equipment, that all batteries are charged and that all my memory cards are clear. I also always contact the chapter to touch base and to ask about parking. One of the things I find frustrating is going to a shoot and not knowing the parking situation. Many campuses have limited parking and/or require permits, or parking garages that are really far way from the photo shoot location. Lugging a bunch of heavy equipment far distances is not easy. 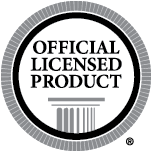 I always like to ask the chapter where I can park legally or if there is a permit I can get. Going into the shoot knowing the parking situation allows me to plan accordingly. Q: What are some things that chapters and chapter members should do to prepare for a Sorority or Fraternity Composite Photo Shoot? A: 1. Fraternity members should come prepared with the proper clothing. If the fraternity plans on having all their members use the same necktie, then they should make sure to have more than just one tie. 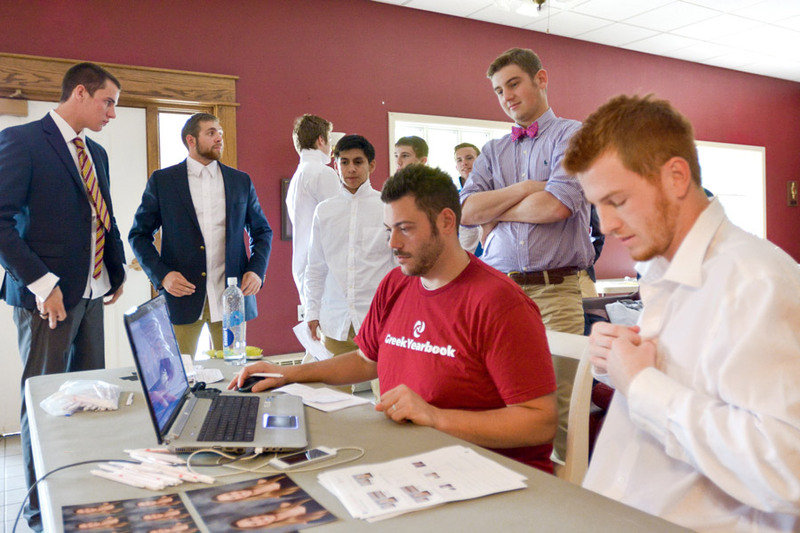 GreekYearbook brings jackets to fraternity composite photo shoots, but they should only be used as a back up. Our jackets will not fit everyone. Members are encouraged to bring their own jackets to ensure a nice fit. Our jackets could be way too big or way too small depending on members’ stature. The shoot runs more smoothly if clothing issues are addressed before the shoot. That way, people aren’t scrambling to find or having to wait to use other people’s clothing. 2. Sororities, if you are requiring your members to wear a drape, please make sure members wear something with thin straps that they can adjust off their shoulders or a strapless top. This makes it easier for members to put on the drape and make it look nice and consistent. 3. Ladies – If you’re not big on makeup, bring some facial blotting sheets to help alleviate any possible shine. If you do choose to wear makeup, we suggest using products with a matte finish. This will help prevent the light from highlighting any shine. Q: What are some things that chapters and chapter members should avoid doing before a Composite Photo Shoot? A: I would say the 2 big things to avoid are coming to a composite shoot right from the gym and changing your hairstyle drastically before the shoot. Coming to a photo shoot straight from the gym or even having just walked completely across campus can make the member look shiny and red. We want everyone to look their best so if you can leave a little time to cool down before getting your pictures taken that generally looks best. New hair styles can sometimes be difficult because when people drastically change their look, they may not be used to it and therefore may be left not liking their picture and wishing their hair was like it used to be. 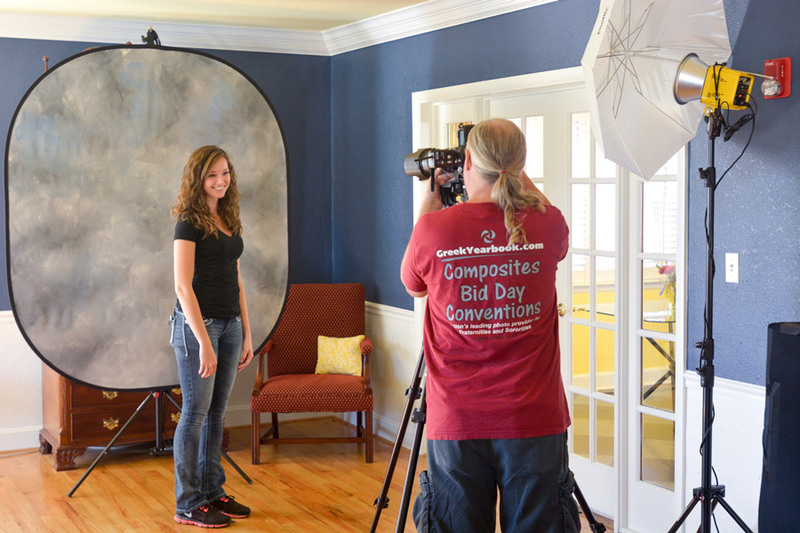 Q: What are some differences between Sorority Composite photo shoots and Fraternity Composite photo shoots? A: Now this is just a generalisation, but for the most part ladies seem to want to look nice and smile, and guys seem to want to look tough. Guys will try to give you that straight face tough guy look. I always ask if they just want to try one with a smile so they have more options and if they oblige, 9 times out of 10 they like the smiling images better. The ladies also generally take more time picking out their photos and ask for redos if they are not happy with the options. Sometimes it can be like pulling teeth to try and get some of the fraternity members to pick a photo. A lot of the guys will just ask me to pick. Q: Tell me about the nicest thing that you have had happen at a Composite Photo Shoot? A: I was shooting a 3 day composite shoot at Ole Miss. This is a huge chapter with 300+ members so it was three 10 hour days. This chapter is always very appreciative and accommodating; I love shooting them, they have that southern hospitality. As you could imagine, towards the end of day 3 I was getting a little worn down. Flying from the east coast 4 days earlier and staying in a hotel can be draining. So on the last day of the photo shoot, one of the members from the chapter came up to me and gave me a little candy bag with a note attached. She told me she included different candies that were her favorite and hoped I would enjoy them as much as she did. The note attached read “not everyone will say thank you but everyone at Phi Mu appreciates you and your work.” This was one of the sweetest things, just to know someone took the time to go out of their way to make sure I felt appreciated. To this day I love working with this chapter. Moments like that make shooting composites rewarding for me. And this story still sticks out to me most when I think about composites. Q: Have you ever had anything embarrassing happen to you or one of your photographers at a composite shoot? A: Well this wasn’t at the shoot but it did involve a composite. Several years back I was shooting a National Convention and I had a student come up to me and call me by my nickname. I thought that was odd because I didn’t know that person… but I have shot thousands of people, so whatever. Then throughout the convention the same student would say things to me that most people wouldn’t know. She asked how my daughter, Kaya, was doing in karate. This went on for a few days and her friends were joking that I had a stalker. I felt quite embarrassed and I had no idea how she knew some much about me. She knew that I was embarrassed and therefore kept messing with me, of course. At the end of the convention she told me how she knew me. Apparently she was my contact from a composite shoot the previous year. We had a lot of down time at the shoot and ended up talking a lot. She knew that I would not be able to place her in the context of a convention, so she made it her fun to mess with me for the week. Q: What’s your favorite part about completing a Composite shoot? A: I love it when I hear people say have much they love their pictures.